Interested in Sociology, Gerontology, or Substance Abuse Studies? You've come to the right place. Our department is comprised of these three closely related fields of study. Helping students transform and expand their knowledge base is a goal encouraged by all faculty at UCO. In our department, we combine the best training at a local, national, and even global level with practical service learning and practicum experiences. In small, personalized classes, you're provided with the opportunity to engage in thought-provoking and problem-solving activities using traditional and new technological approaches. As a student of Sociology, Gerontology, or Substance Abuse, you'll have the opportunity to support the health and wellness of your community by studying mental health and addiction issues. If you graduate with a major in Sociology, you may expect to enter research positions, community organizing, public administration fields, or pursue a graduate education in a variety of disciplines. A concentration in Gerontology or human services can prepare you for positions like social service workers, graduate education in behavioral science, human service fields like social work, counseling, and gerontology. 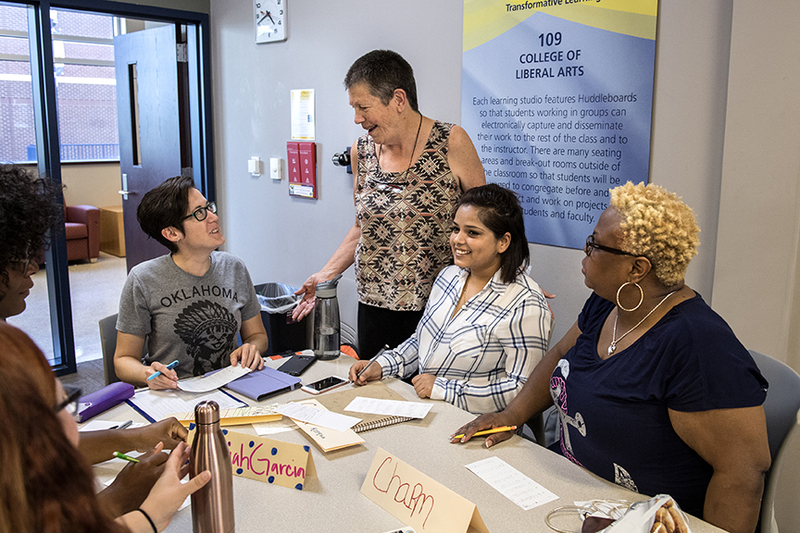 As the only gerontology master's program in the state, we offer flexible, early evening classes along with an option to either write a thesis or complete practicum experiences. Finally, a focus on Substance Abuse Studies prepares you to work in the fields of substance abuse prevention and treatment or to become a licensed drug and alcohol counselor, or LADC. You could also go on to pursue our new degree, a Master's in Substance Abuse Studies. Are interested in becoming a counselor, social worker, geriatric advocate, or data analyst. Are interested in what is going on in the world.